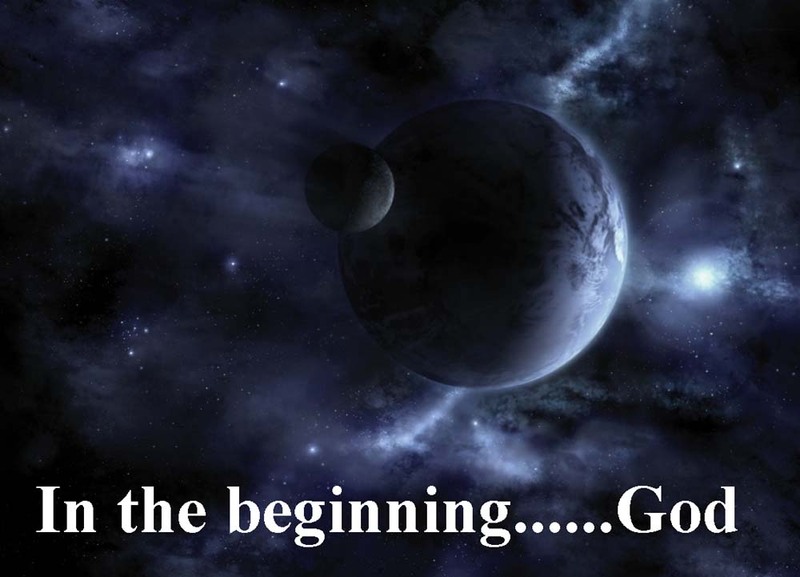 In the beginning (before time began) God created the heavens and the earth. Now the earth was formless and empty, darkness was over the surface of the deep, and the Spirit of God was hovering over the waters. In the beginning was the Word, and the Word was with God, and the Word was God. He was with God in the beginning. Through him (the Word) all things were made; without him nothing was made that has been made. In him was life, and that life was the light of all mankind.